Bowling Green had just endured a frigid winter. 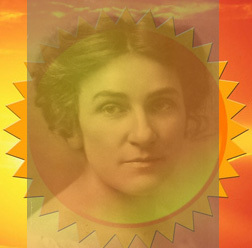 Five months later, in a letter to her children on July 25, 1934, Martha Potter confessed again that her news would be mostly “about the weather, for that is all we talk or think about down here.” Her description of the summer heat in Bowling Green gives a vivid picture of life in the days before air conditioning. Martha Potter’s letters chronicling daily life in Bowling Green are part of the Lissauer Collection in the Manuscripts & Folklife Archives section of WKU’s Special Collections Library. Click here to access a finding aid. For more collections, search TopSCHOLAR and KenCat.